Gene Therapy: Does it Work? Other cells may be missing certain genes. Researchers hope that replacing missing or defective genes can help treat certain diseases. For example, a common tumor suppressor gene called p53 normally prevents tumor growth in your body. Several types of cancer have been linked to a missing or inactive p53 gene. If doctors could replace p53 where it’s missing, that might trigger the cancer cells to die. In 2014, Layla Richards was diagnosed with an aggressive Acute Lymphoblastic Leukaemia (ALL) at the tender age of 14 weeks. Layla had one of the worst cases of leukaemia her doctors had seen and, when all other treatments failed, her parents were told to expect the worst. Her parents refused to give up hope even though the Chemotherapy and Bone Marrow Transplant has failed, and when someone mentioned Gene Therapy to them, they jumped at what would certainly be Layla’s only chance at life. Doctors at London’s Great Ormond Street Hospital got permission to give Layla a cell treatment being developed with Cellectis, a French biotech company. It involves arming blood cells taken from a healthy donor with cancer-fighting genes. It was so new that it had been tested only on mice and just one vial was available. Professor Waseem Qasim works in the Institute of Child Health at UCL and is part of a multinational group working on Cell and Gene Therapies for inherited disorders including cancer. Trials had already shown that adding a gene for a receptor on a patient’s T-cells, which in normal conditions attack rogue cells, could re-awaken them so they killed a cancer. In Layla’s case there was a problem – Layla’s own T-cells were ruined by the chemotherapy, so Qasim re-edited a donor’s T-cells removing various sequences including those that would alert Layla that this was foreign material. Put simply, gene editing involves cutting away the genes you don’t need from a comparable piece of donor DNA. The treatment had never been used outside the laboratory and so, to a degree, Layla was a guinea pig. But the parents wanted this treatment, which, for Layla, involved little more than 10 minutes on an intravenous drip. Layla was given 1ml (50 million cells) of the cell treatment, an amount that would fit on the tip of a teaspoon, in a ten-minute infusion in June, when she was a year old. Initially, it was unclear if the treatment had worked but within weeks Layla started to show signs of recovery. A bone marrow transplant followed, to ensure the disease had been eradicated, and tests show her to be cancer-free. Her ‘near miracle’ recovery paves the way for a revolution in the treatment of cancer. “We have only used this treatment on one very strong little girl and we have to be cautious about claiming this will be suitable for all children. Layla Richards’ life was saved by blood cells that had been genetically modified to make them fight cancer. First, they added genes that fight leukaemia, a cancer of white blood cells. These genes made a protein that zeroed in on the cancer and killed the diseased cells. Then, they used a cutting-edge technique called TALENs to switch off two genes. Switching off the first gene ensured the donor’s cells wouldn’t be rejected by Layla’s body – or by anyone else given the treatment in future. Turning off the second gene meant they weren’t wiped out by powerful drugs that were essential to her recovery. In June, Layla was given an infusion of 50 million of the genetically-engineered cells. Once in her body, they spent three months seeking out and killing the leukaemia. In September, when cells had killed as much of the cancer as they could, Layla was given a bone marrow transplant. 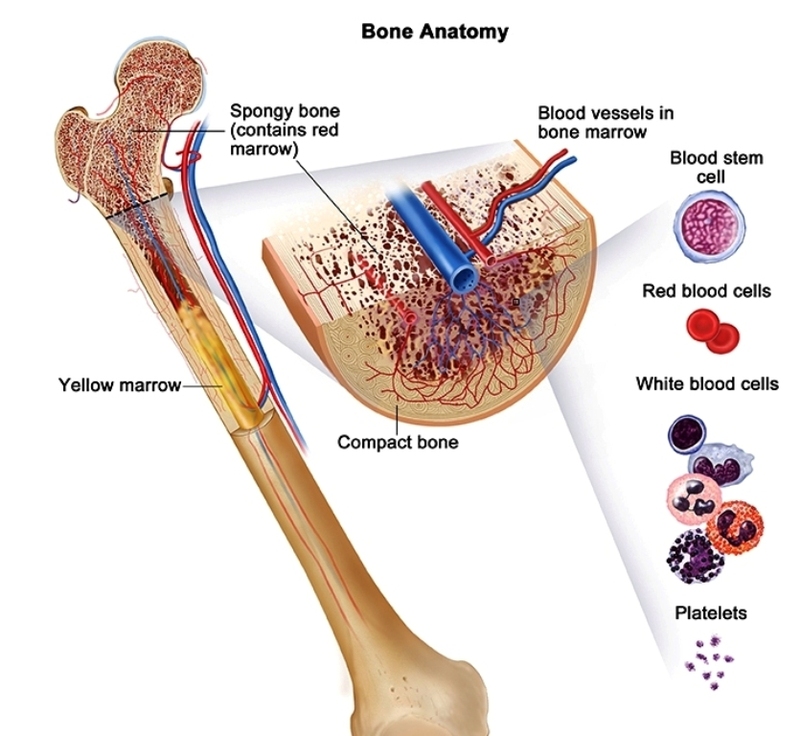 The bone marrow is the body’s blood cell ‘factory’ and replacing faulty marrow with healthy stuff should mean only healthy cells are made from now on. The GM cancer-fighting cells were killed during the transplant and so don’t live on in Layla’s body. The treatment is so complex that it is likely to be used as a last resort, when conventional therapies have failed. Since Layla’s treatment, another unnamed baby diagnosed with aggressive leukaemia at four weeks old was given the same treatment of the so-called UCART19 injection at Great Ormond Street Hospital aged 16 months, after failing to respond to other treatments. Professor Waseem Qasim, who led the tests, reported that both children remain in remission – one 18 months after treatment and one a year after treatment. There are still some concerns, such as the potentially life-threatening Graft versus host disease where donors cells begin to attack the recipient, but clinical trials are ongoing and it is hoped that the possibility of off-the-shelf cellular therapy using donor cells at low cost that could be dripped into patients’ veins at a moment’s notice could become a reality soon.